In this image there are two men inspecting the clothes that the women are pressing. There are clothes hung up on many hangers around the room. They are in a factory. Some of the women look like the are ironing the clothes. 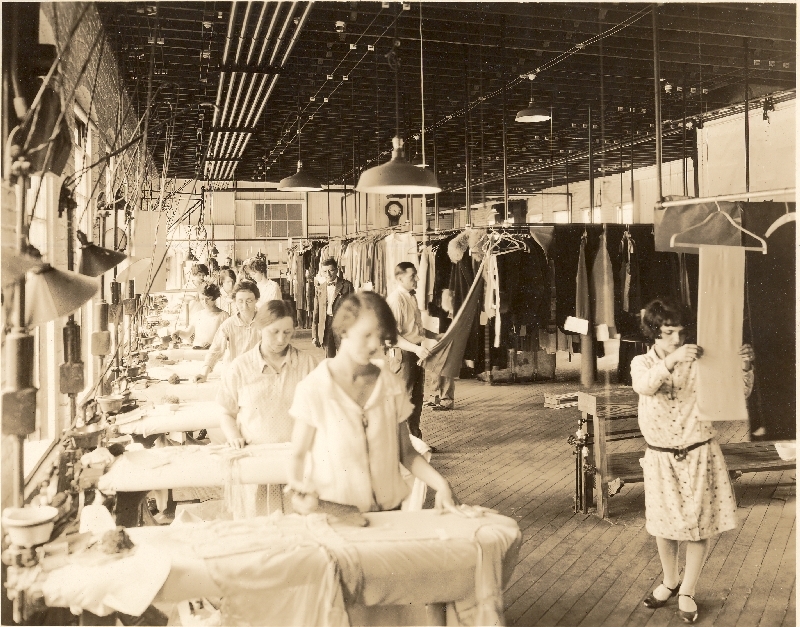 "Hegy Cleaners Press room," in Creating Holyoke, Item #66, http://www.creatingholyoke.org/items/show/66 (accessed April 23, 2019).